This season is dedicated to all the builders who work with their hands every day. The stage is set behind the walls of San Quentin Prison to bring hope—to not only the inmates, but those in their garages, schools, and shops across the nation. Over the past two seasons of TITAN American Built, Titan toured through the country visiting high level machine shops, colleges and industrial schools. Throughout this journey he began asking himself, “Who is teaching the teachers and what resource do they look to?" A theme developed that revealed that each shop and education program varied in its standards and curriculum. There is a lack of cohesion and consistency. This has inspired a change. Therefore, Season three will start with an even bigger focus on education. While developing this San Quentin Prison educational platform, TITANS of CNC, Titan realized that this platform could further develop into a curriculum catered toward every CNC machinist. Titan will teach CNC on camera and throughout the show, direct viewers to the online video platform full of training from A to Z. The online video platform, which is the first of its kind, is the biggest CNC training platform available and is available to everyone for FREE. All while, continuing to share the inspiring stories that you have come to know and love. 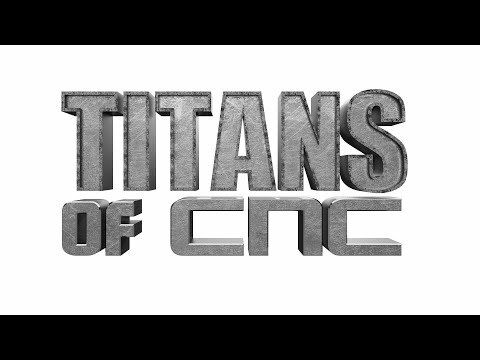 Whether you are a student, engineer, machinist, or a maker, TITANS of CNC will teach you everything you need to know to take your processes and skills to the highest possible level. You will walk away inspired and motivated to pursue excellence and success in your trade. After all, we can all be - TITANS of CNC. 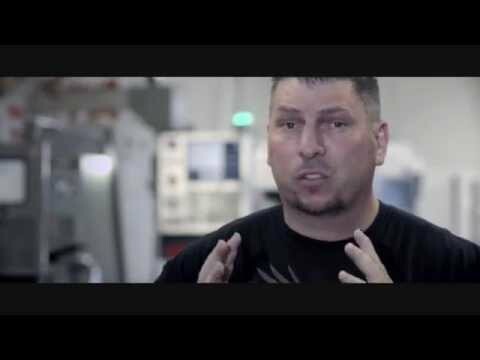 TITAN Gilroy is the owner of TITANS of CNC, an elite aerospace CNC Machine shop in Northern California. He is also the Executive Producer and Star of the television series, TITANS of CNC (formerly TITAN American Built). This series is a platform to engage a new generation of machinists, inventors and builders. 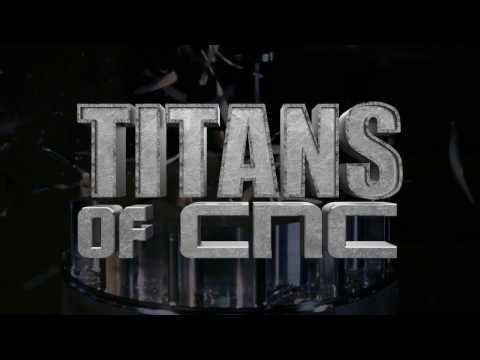 TITAN also pioneered the largest FREE CNC educational platform, TITANS of CNC: Academy, dedicated to training and inspiring students, educators and shop owners from around the world. The platform is an invaluable resource to bring about true change in the manufacturing industry. TITAN’s upbringing was not a recipe for success, during his childhood, he grew up in a broken home filled with violence, alcoholism and rage. He soon found his identity in fighting and built a reputation on his aggressive and destructive nature. Multiple accounts of assault landed TITAN in a sixteen-year prison sentence. The fighting continued and he soon found himself in solitary confinement for six months. With the help of Top Rank Boxing, TITAN was released early and began fighting for his second chance, ultimately being recognized as one of the greatest up and coming fighters in the sport. Unable to escape his demons, TITAN was pulled back into the street violence of his past. 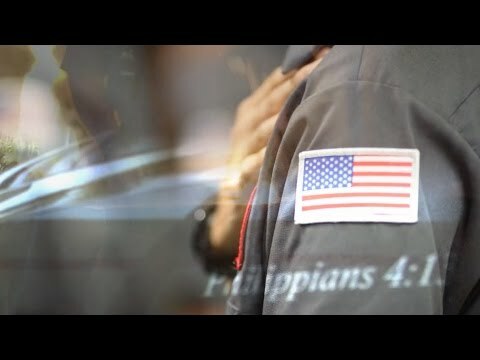 Not wanting to land back into prison, he walked away from professional boxing and found himself in a CNC machine shop where his life would change forever. Starting as a saw operator, TITAN sought out every opportunity to advance and learn this new trade. He quickly became the top performer in the shop and moved his way up to CNC operator, CNC programmer and then shop supervisor. 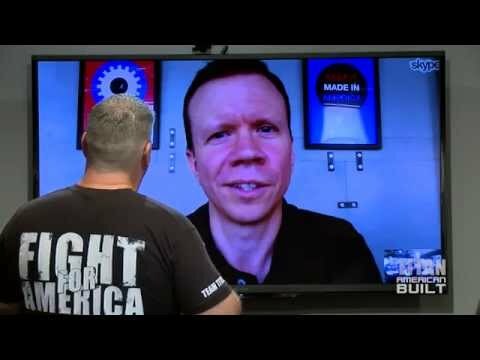 The success as a machinist lead him to pursue owning his own CNC shop where he would pour all his energy and focus into becoming a true CNC Expert. During the devastating recession of 2008, TITAN witnessed first-hand the destruction of the manufacturing industry and he could not stand quiet. He dedicated himself to unveiling the industry and its importance to all who would listen. This ultimately lead him to develop the Television Series, TITAN American Built, which launched on MAVTV in 2014. 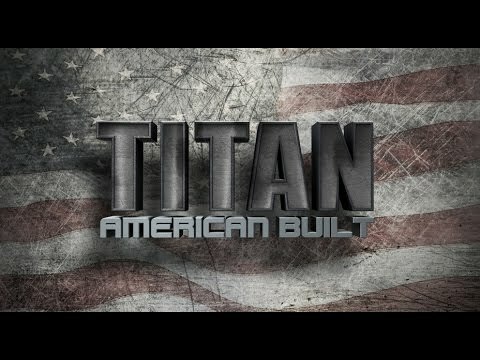 Through the first two season, TITAN and team highlighted great American companies that were fighting to keep work right here in America and telling their inspiring stories. For TITAN, the first two seasons revealed something very important. The manufacturing industry has no leader. There was a lack of resources for our students, schools, employees, and businesses. This lead TITAN to once again take a stand and do something about it. Thus, season three will start with an even bigger focus on education. Using San Quentin Prison as a platform, Titan has built an advanced CNC machining school. He also designed his own custom curriculum to not only be used in the prison but also to be used by all teachers, students, hobbyists & machinist for FREE. 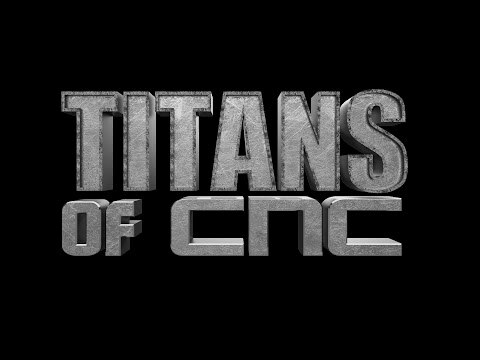 Titan put the curriculum online and called it academy.titansofcnc.com This online video platform, which is the first of its kind, is the biggest Cad, Cam & CNC training platform ever developed. As a young child, TITAN witnessed brokenness and destruction. He relived these realities in the wake of the recession. From here, he continues to prove that through determination, education and motivation we can compete and make a name for ourselves once again. The advancement of education, technology, and innovation in the manufacturing industry is a top priority for TITAN, and no one can stand in his way to seeing it succeed. Prison once represented the darkest time of Titan’s life, today the darkness has turned to light, as it has become a source of HOPE for all who have followed this inspiration journey. 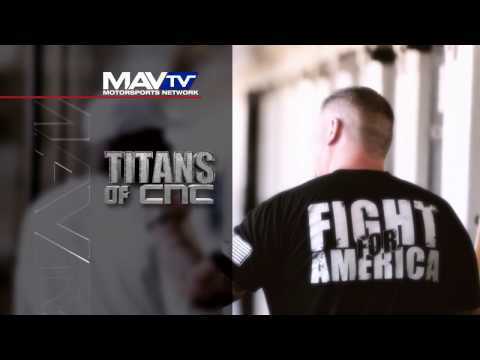 For more information on all of TITAN'S platforms and to schedule speaking engagements and workshops, visit: titansofcnc.com.